Hello Hello Hello!! Welcome to another crafty-licious Snickerdoodle Sunday! We appreciate you all coming to party with us each week! Please welcome Felicia from Nifty Thrifty Family! She has decided she likes you all and will be staying on as a hostess! This weeks special co-host is (drum roll): Robin from Redo It Yourself Inspirations!! I've always had the tendency to be motivated and easily inspired to be creative. It's the way I've been molded. I'm Adirondack born and raised; way up north New York near Canada. I'm the daughter of a master craftsman cabinet maker and a thrifty crafty lady. Expanding my horizons into the Capital District of the New York area, I carry my roots with me. My new journey started when my husband and I bought a real fixer upper home a few years ago. I have had no choice but to dive in and get back into the do-it-yourself mode full force. Check her blog for the rest of the story! 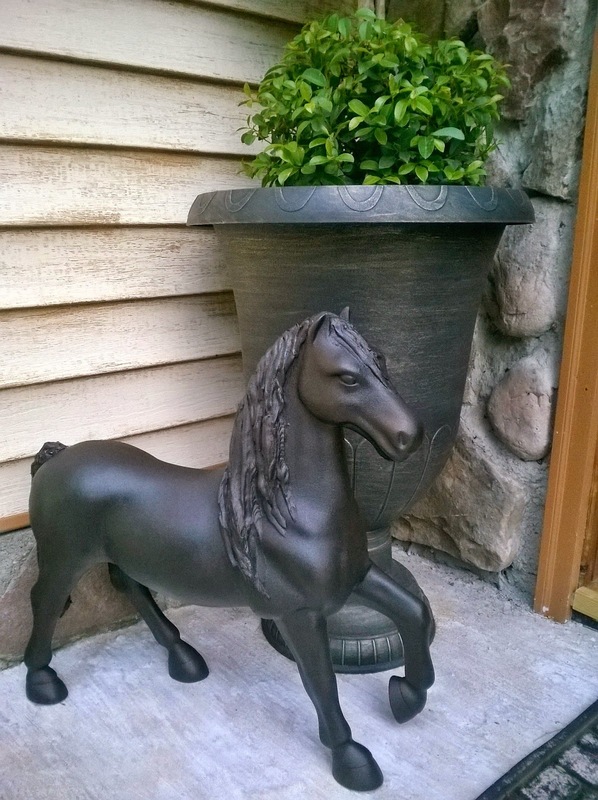 Robin's Upcycled Toy Horse was chosen as the Favorite Post for last week! Congrats Robin!! Here's your super special cookie! Everyone stop by, say congrats and check her out (in a good way)!! Special Giveaway for Snickerdoodlers! For the month of June we are hosting a giveaway especially for those who link up to Snickerdoodle Sunday! Kristina found this cool yarn in the mill end bin at AC Moore and made a couple scarves. They turned out so cute and there is so much yarn, we decided to share! Visit our facebook page - like it - and link up a picture of you and your best bud - a "Selfie Bestie"! At the end of June we will pick the best shots! Winner will receive two skeins of this fun yarn. Enter as often as you like, just use different selfie shots!